Adjusting background blur will become even easier and more responsive. The iPhone XS and XS Max camera is already one of the best around on any smartphone. In our iPhone XS camera review, we were utterly impressed by its low-light capabilities and ability to produce a bokeh effect that is actually decent. 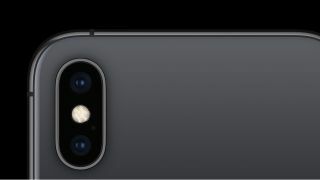 That doesn't mean that Apple is resting on its laurels, though, as an upcoming iOS update will make the camera even better. According to German site Macerkopf (and picked up by TechRadar), when the iOS 12.1 update rolls out, users will get the ability to change picture depth while they’re snapping photos and not just after the photo is taken. This is a significant change to how the camera works on the iPhone XS and iPhone XS Max and will offer those who use the camera on the phone even better manual controls. The iOS 12.1 beta build is out now, so those using that should have this ability. For the rest of us, we'll have to continue adjusting the depth-of-field of images in Portrait Mode via an aperture slider on the editing screen, post taking the photo. The iPhone XS is out now and features a 12MP camera on the phone, which is backed by a bigger sensor than what was previously used by the iPhone X. There are two lenses on board - a six-element, wide-angle f/1.8 lens, as well as an f/2.4 telephoto optic in front. The iPhone XS isn't the first to allow you to blur the background of shots, but as it is Apple, it is the one trying to popularise it.